The African Union (AU) chief told AP the organization intends to be the first to recognize Southern Sudan as a new state should the result of its referendum be secession. Malawi’s President Bingu wa Mutharika made the statement on 26th Jan 2011 after meeting Southern Sudan’s Leader Salva Kiir. Mutharika currently holds the rotating chairmanship of the 53-member African Union. “Sudan will be on the agenda when the AU holds a regular AU meeting later this month” He concluded (AP). After 21-years of civil war against Arab compatriots, the early results show strong support for secession. The final and official result will be announced on early February 2011. The referendum was part of peace deal signed 2005 between the late leader of Southern Sudan Dr. John Garn and Sudan’s Arab led government in Khartoum. This statement is showcasing the AU’s support to secession even before the official result announced. It seems the AU recognized South Sudan without agreed constitution, and no official name for the new government. No defined territory and population. What is puzzling is why the AU and other international organizations like UN are giving a blind eye to the question of independence by Somaliland?! The world recognized southern Sudan government and Khartoum had no option but to accept. It is very normal that independence and secession could come from outside like East Timor, Yugoslavia, Bangladesh. All these countries won independence with outside intervention and local authorities were forced to accept. This invalidates AU’s argument asking Somaliland to negotiate with the shaky and powerless government in Mogadishu over its independence. Somaliland has elected government and parliament and controls every inch of its colonial border (British Somaliland), unlike transitional government in Mogadishu that controls less than two percent of the capital. 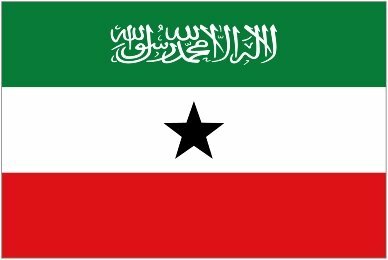 Somaliland has world-standard, modern and democratic nation; it hosted free and fair elections; it has army that obeys international military regulations; police with excellent human rights record; currency that is circulated in many parts of East Africa; flag that flies in many countries; national anthem; finally it has elected parliament and government. In 2010, the Somaliland opposition won presidential election and there was peaceful, civilized and democratic power transfer, unlike many African countries where dictators hang on the power like Ivory Coast and Kenya. Today’s Opposition Leader and Former President Dahir Riyale Kahn handed over the leadership to the Former Opposition Leader and today’s President Mohamed Ahmed Siilanyo – The power-transfer ceremony was rare seen in Africa. UN’s charters that define nations say “A sovereign state is a state with a defined territory on which it exercises internal and external sovereignty, a permanent population, a government, independence from other states and powers, and the capacity to enter into relations with other sovereign states”. Somaliland fulfills all these conditions and more like democracy, free-fair elections, good governance and excellent human Rights record, in addition to freedom of expression. Again, Somaliland’s case does not underestimate the right of self-determination of the people of Southern Sudanese, instead the government of Somaliland was first to vow recognizing the new government out of Southern Sudan despite its unrecognized status. Both people of Somaliland and Southern Sudan suffered under brutal and merciless regimes for decades; both people faced discrimination on different bases; thousands of both people were murdered in addition to genocide and ethnic-cleansing by the regimes in Mogadishu and Khartoum. Somaliland and Southern Sudan emerged after years of freedom armed struggle, they forced the occupying regimes to leave or negotiate peacefully. In Somaliland, regime was overthrown by force and Southern Sudanese forced Al-Bashir regime to negotiate and accept their demands. In brief, Somaliland was an independent nation for five days before the disastrous unity with Italian Somalia on 1st July 1960. Somaliland had designated Prime Minister and Cabinet before the unity. The crawling unity continued until 18th May 1991, at the rebirth of Somaliland. After 50 years, AU is not considering the freedom voice from Somaliland while it is offering unconditionally support to the new state in Southern Sudan that has no colonial border and defined population, which conflicts with African Union´s charter on the territorial integrity. Interestingly, the strong diplomacy of Southern Sudanese and western backing forced AU and its leaders to accept Southern Sudan without considering the AU’s regulations that preserves the integrity of the colonial borders African nations inherited from European colonizers. In contradiction, AU is waving conditions in accepting Somaliland as independent nation, which has a defined territory with bounders and inherited from the former British Somaliland; Somaliland has permanent population of 3.5 million. It controls its territory; it has bilateral diplomatic and security relations with neighboring countries; Somaliland Passport is been used in Ethiopia, Kenya and Djibouti. Somaliland President uses local passport while traveling to Europe and USA. It was USA Former President Bill Clinton administration who started campaigning for southern Sudan, which built up pressure on Khartoum regime and forced the AU leaders to accept the new nation. Until today, former foreign secretary Madeleine Albright is leading the campaign that freed Southern Sudan. There are other USA famous figures including Congressmen and VIPs. Most probably there are different interest behind such USA support including the oil in the region. It is very sure, that southern Sudanese without USA and western support could have face difficulties and conditions in achieving their dream of self-determination. In such situations of AU’s failure, all members including Somaliland are forced to seek outside support to convince AU leaders, who cannot decide for their own destiny. Somaliland unambiguously fulfills all the condition for statehood as per AU charter but without western backing. Somaliland has more territory and a bigger population than at least a dozen other African states, we point out. Recognition will not “open Pandora’s box in Africa”. Neither will it set a precedent that has been done already in East Timor and Kosovo. “The international community is focused on Somalia, it is okay. We are saying, ‘Keep doing what you’re doing in Mogadishu, but for goodness sake help those who help themselves: Somaliland’.” Congratulations to the Southern Sudanese. The African Union (AU) Observers have certified South Sudan’s secession vote “free, fair, credible and a true reflection of the democratically-expressed will of the South Sudanese voters.” In its preliminary statement on the conduct of the vote, which could lead to the creation of Africa’s newest country and pave the way for the independence for Somaliland, the AU said the referendum was conducted in a safe and peaceful environment.